Karnataka Public Service Commission is inviting applications for KPSC Recruitment 2019. There are 844 posts for First & Second Division Assistant. Candidates can fill online application forms from 11.02.2019. Participants must submit their registration form for KPSC SDA Vacancy till 12.03.2019. Before applying applicants can check the selection process & eligibility criteria from here. Candidates who age in between 18 to 35 years are eligible to apply for Karnataka PSC Jobs 2019. For more details, applicants can read the given article carefully. 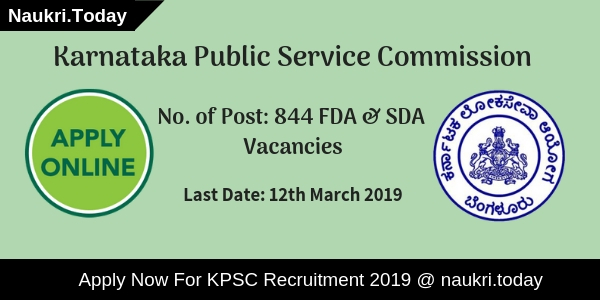 Fresh Update as on 03.12.2019: Dear Applicants, Karnataka Public Service Commission has released notification for 844 FDA & SDA Vacancies. Today is the Last date of online Registration for KPSC Recruitment 2019. Candidates who do not register themselves till now must fill up their application form as soon as possible. Here we provided you links to apply for KPSC Vacancy 2019. Is It Compulsory To Send Hard Copy Of KPSC Vacancy Application Form 2019? How To Make Payment Of Application Fee For KPSC Division Assistant Jobs 2019? What Are The Important Dates To Remember For KPSC Vacancy 2018-19? Candidate must have Inter or PUC degree. For more details check KPSC Recruitment Notification 2019. No, it is not compulsory to send hard copy of Karnataka PSC Recruitment 2019. Participants only need to submit their KPSC Jobs registration form through online. For more details you may read the KPSC Recruitment notification 2019 from here. Participants need to pay examination fee through Debit Card, Credit Card or Net Banking. Application fee must be paid before last date. Due date to submit registration fee for KPSC SDA Jobs is 13.03.2019. Conclusion: Karnataka Public Service Commission has issued notification for KPSC Recruitment in which 844 seats are available for SDA & FDA Post. Participants can apply online for Karnataka PSC Jobs till 12.03.2019. For more details read above information. Candidates can download KPSC Vacancy Notification from here. Hello Friends, Are you looking for KPSC Recruitment 2018? If yes, There is a news for you. Karnataka Public Service Commission has issued notification for 491 Group A & B Vacancies. Interested candidates may collect here qualification, age, and application fee details. Participants who fit in eligibility criteria must fill up their application form before the last date. Online Registration for KPSC Group A & B Vacancy 2018 has begun form 17 December 2018. Applicants may inform that online registration for Group A & B Technical Jobs is going to close on 16 January 2019. For further more details regarding pay scale, etc. read below article carefully. Distribution of Vacancies for KPSC Group A & B Jobs 2018-19 – H.K. Candidates who are going apply for KPSC Group A & B Vacancies may check here eligibility criteria. Participants who fit in eligibility criteria may fill up their application form from links given here. Candidates must fill up all the details carefully in an application form for KPSC Recruitment 2018. Applicants must have Graduation and Post Graduation Degree form recognized board in relevant subjects. Participants who applied for medical officer posts may required M.B.B.S. Degree to apply for KPSC Jobs 2018. Candidates should read official KPSC notification for more information regarding education qualification. The Department has set 18 years as minimum age and 35 years as maximum age for candidates who applied for KPSC Recruitment 2018. Upper age relaxation is applicable as per government rule. Here we gave you category wise age relaxation details for Karnataka PSC Jobs 2018. The Department will pay a good amount of salary to the selected candidates. Selection participants will be paid Rs. 40,900/- to Rs. 97,100/- for KPSC Vacancy 2018-19. Candidates must download KPSC Notification 2018 either from here or from links given here. Candidates who belong to general category will submit Rs. 600/- as an application fee for KPSC Jobs. Participants of 2A,2B & 3A, 3B category will pay Rs. 300/- for an examination fee. Ex-Military Person has tp pay only Rs. 50/- for KPSC Jobs 2018. Candidates are allowed to pay their application fee through Credit Card, Debit Card, and Internet Banking for KPSC Recruitment 2018. Selection of candidates will take place on the basis of Competitive Examination for KPSC Vacancy 2018. Applicants may check here further more details regarding selection process. Here we provided you links to download Karnataka PSC Notification 2018. Participants who are going to apply for KPSC Group A & B Vacancy 2018-19 may check here eligibility criteria. Here we provided you direct link to apply for KPSC Jobs 2018. Candidates should follow these steps to download Karnataka PSC Notification 2018. Candidates may log on to official website of Karnataka PSC i.e kpsc.kar.nic.in. After that click on notification section at Homepage. Now click on KPSC Recruitment PDF. recheck your application form before the payment of application fee. keep copy of application form for feature use. Download Here Karnataka PSC Gr. 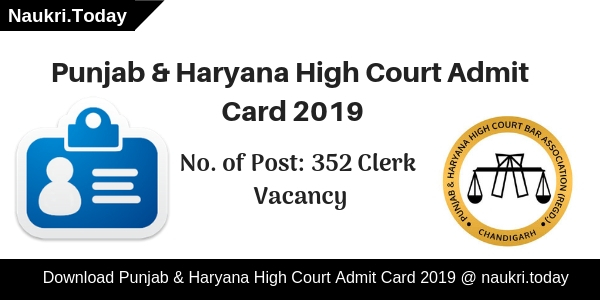 A & B Vacancy 2018-19 notification for R.P.C. Conclusion: Karnataka Public Service Commission has issued notification for 491 Group A & B Technical Vacancies. Applicants should check here eligibility criteria for KPSC Recruitment 2018. Here we gave you links to apply for KPSC Group A & B Jobs 2018. KPSC Recruitment 2018 – Karnataka Public Service Commission has announced vacancies for the post of Head Master and Teacher. There is 554 Posts are available in RPC and 146 Posts in HK Department. Applicants can register online for KPSC Vacancy 2018 from 23 November 2018. Registration for Head Master and Teacher Post will be closed on 22 December 2018. Before filling up application form candidates should check here qualification, age, and application fee. Here we gave you links to apply for Karnataka PSC Jobs 2018. For more details such as pay scale, selection criteria read below article carefully. Here we gave you qualification, age, and application fee details for KPSC Vacancy 2018. Participants must read this section carefully before applying. Eligible applicants may fill up their application form carefully without any mistake for KPSC Recruitment 2018. Here we also provided you links to download KPSC Notification 2018. Candidates who are going to apply for KPSC Jobs 2018 must have Post Graduation Degree. 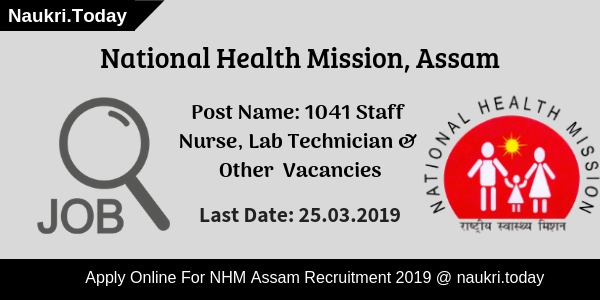 For further more information aspirants should check official notification carefully. Candidates should download KPSC Teacher Notification either from here or from official Website. Candidates need to pay some amount as an application fee for KPSC Head Master Recruitment 2018. Participants can submit their application fee by Credit Card, Debit Card, and Internet Banking For JKPSC Jobs 2018. Applicants may also allow submitting their examination fee through e-challan for KPSC Head Master Recruitment 2018. The Department will select applicants on the basis of Competitive Examination. for more information, participants should consult to official KPSC Notification 2018. Aspirants should download KPSC Vacancy 2018 notification either from here or from the official website. The Department will pay a good amount of salary to the selected participants for KPSC Recruitment 2018. Here we provided you table which shows you KPSC PayScale. Aspirants should follow these steps to apply for KPSC Bharti 2018. Registration for Head Master and Teacher Posts has started from 23 November 2018 to 22 December 2018. Candidates who fit in eligibility criteria may apply online form links given here. Participants should log on to official Website of Karnataka PSC i.e kpsc.kar.nic.in. After that click on the Notification section given at Homepage. Now Read KPSC Recruitment notification carefully. After that pay your application fee through your suitable method. Now Recheck your form carefully. click on the submit button to save it. Conclusion: Karnataka Public Service Commission has issued notification for 700 Head Master and Teacher Vacancies in RPC & HK Section. Candidates should check here eligibility criteria for KPSC Recruitment 2018. Here we gave you links to apply for KPSC Jobs2018. Dear Applicants, If you are looking for KPSC Recruitment 2018. Here is a news for you. Karnataka Public Service Commission has issued 294 Lecturer, Drug Inspector and other post of Group A & B cadre. Participants who are interested in Government Jobs they can apply for KPSC Vacancy 2018. Applicants can apply from 26 March 2018 for Karnataka PSC Jobs 2018. Candidates may download KPSC Notification 2018 from official website or with the help of links given below. Here we provided you Complete details about eligibility Criteria, Age Limit and Pay Scale. Interested Candidates must fill up their Application Form before last Date 24 April 2018. Candidates should prepare themselves strongly KPSC Group A & B Recruitment 2018 before examination.Applicants must submit their application fee before 25 April 2018. Participants may apply Online for Karnataka PSC Vacancy 2018 on suitable post according to their Qualification. Applicants may also consult to Official Notification of KPSC Jobs 2018. For more Details aspirants should read this article carefully. Name of Vacancy : Lecturer, Drug Inspector, Assistant Engineer and other various Posts. Participants should fill up their Application form Carefully if any mistake is found, Their forms will be rejected. Applicants must download KPSC Recruitment 2018 Pdf from this page or from Official Page. Here we provided you brief Details about Eligibility Criteria. Candidates who are going to apply for Karnataka PSC Recruitment 2018 must have Graduate Degree form Any Government recognized University. KPSC Recruitment 2018 Mention Different Qualification for Different Posts. Candidates who are going to Apply on Drug Inspector post should have Diploma in B-Pharma. Aspirants who applied for Principal Post should hold Masters Degree with B.ED Qualification. Applicants must check KPSC Group A & B Vacancy 2018 Notification At Official Website. Karnataka Public Service Commission has decided good amount of salary package for Apply Candidates. Applicants must perform well in KPSC Jobs 2018 Exam to grab good salary Package. Participants who applied for KPSC Lecturer Recruitment 2018 Pay Scale is Rs.30000 – Rs. 51300/-. For Further more details Applicants may download Karnataka PSC Bharti 2018 Notification from this Page. Applicants for KPSC Recruitment 2018 are selected on the basis of two stages : Written Test and Interview. Participants should prepare strongly for KPSC Group A & B Jobs 2018. Applicants who grab Good marks in Written Test, they will be call for Interview. Participants should have complete Knowledge about their Field. At the Time of Interview Examiners may ask any questions related to candidate’s Filed. Final Selection are done on the basis of Marks gain in written test by Applicants. Candidates who Belongs to General and Other Backward Classes Category, They should Pay Rs.600/- as Application Fee. Participants who belongs to 2A,2B,3A,3B Category should pay Rs. 300/- . EX Service man of KPSC Department need to pay Rs. 50 only.Aspirants must download Karnataka PSC Vacancy 2018 Notification Pdf from Links given here. Candidates must consult to Official KPSC Notification 2018. Applicants who are preparing for KPSC Group A & B Jobs 2018. Participants may download Karnataka PSC Vacancy 2018 Pdf from Links given Below.Here we provided you easy steps which help you to fill up Application Form. Firstly, Applicants may log in t official Website of KPSC Vacancy 2018 i.e. kpsc.kar.nic.in. Secondly, Candidates should search for Recruitment Section at Home page. After that Aspirants may click on the Advertisement. Participants must read all the details carefully. Eligible candidates may apply for Karnataka PSC Lecturer Jobs 2018. Applicants may fill up Application Form and deposit their Fee. Conclusion : Karnataka Public Commission has announced 294 Vacancy at different Post. KPSC Recruitment 2018 want to fill up Group A & B Vacancy of Lecture, Drug Inspector nad Various other posts. Aspirants may check Eligibility Criteria, Selection Process and much more information in above article. Interested applicants may apply for Karnataka PSC Jobs 2018 up to 24.04.2018.